Dr. Brigid Crowe knows she’s doing a great job caring for patients when her busy schedule opens up and she has space for new clients. 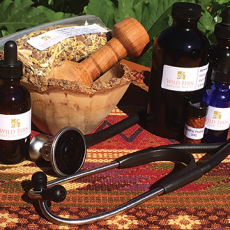 The fact is people tend to get well after working with Dr. Brigid at Wild Fern Natural Health. 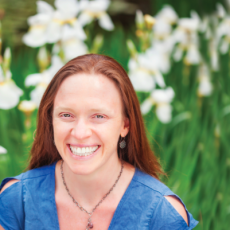 With a firm belief in the power of the body to heal and a deep commitment to treating the whole person and the underlying cause of imbalance, Brigid is a naturopathic physician in Ashland, OR offering primary care to people of all ages and stages of life. After a decade working as a chemical engineer, the last few as the Quality Manager at Herb Pharm, Brigid adopted naturopathy as a way of addressing her own health challenges. After experiencing great success it wasn’t long before she found her passion and desire to use this simple, intuitive, and effective form of medicine to help others. 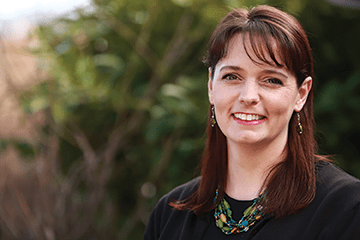 Now in her 6th year of practice here in Southern Oregon, Brigid has established a strong family practice in addition to participating in the Natural Fertility Network. 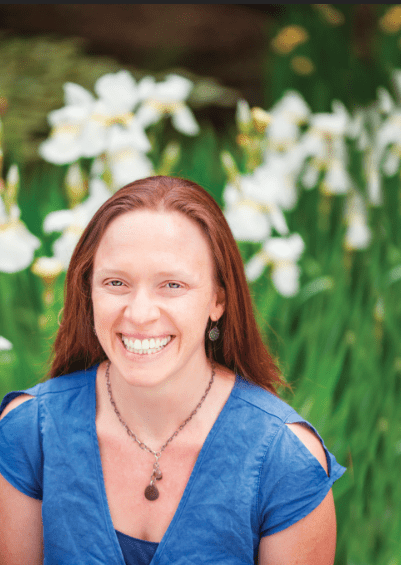 We caught up with Brigid Crowe recently to learn more about her thriving practice and why naturopathic medicine offers such remarkable results. 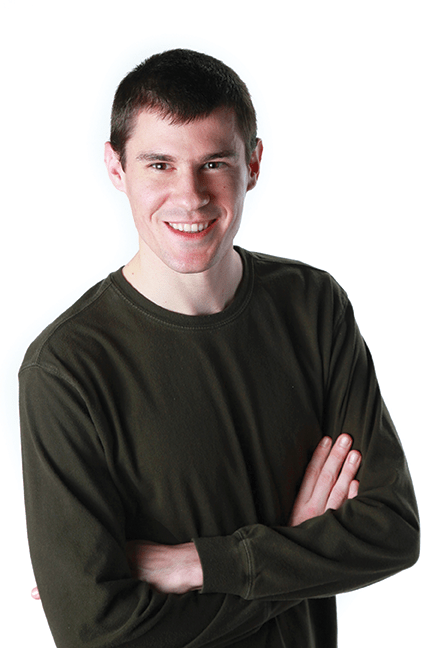 As a naturopathic primary care physician, you are able to care for patients comprehensively. Tell us about your practice. Well, my practice is varied and fun! I get to work with everyone! I provide care to people at all stages of life. Currently, I have patients ranging from 6 weeks old to 94 years old. 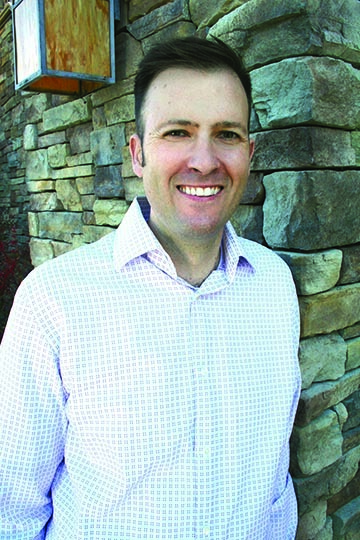 In addition to providing both acute and chronic care, I am passionate about providing wellness and preventative care. This can look like Well Child visits, annual school physicals, annual gynecological or prostate exams, or seasonal check-ins. I truly enjoy the variety that my primary care brings. Supporting seasonal allergies in one visit and cancer in the next really keeps me on my toes. As a primary care provider, sometimes I’m the team captain, providing the majority of a family’s healthcare and making appropriate referrals when necessary. Sometimes I co-manage patients with other providers including nurse practitioners, chiropractors, therapists, osteopaths, general practice medical doctors and specialists including neurologists, oncologists, gastroenterologists, to name a few. I absolutely love to collaborate with other physicians to ensure the best care possible for my patients. I feel so grateful for the unique and fortunate position of naturopathic physicians in Oregon. We are licensed primary care physicians, doing as any physician would – taking a thorough medical history, performing physical exams, ordering labs and imaging when indicated, and providing treatments. While we are able to prescribe pharmaceutical medications, though we often do not need to. While each naturopathic doctor has their own style of practice and treatment, I tend to use modalities in rhythm with nature such as routine, sleep, exercise, nutrition, botanicals, homeopathy, flower essences, and nutritional supplements to alleviate symptoms and to treat the underlying cause of dis-ease. I like to start with the least-invasive (and no cost) treatments such as routine, sleep, exercise and hydration first. When an individual’s health picture requires specific nutrients, I attempt to incorporate food as our first ally. When a patient’s health is calling for therapeutic doses of a nutrient or a more targeted therapy, I prescribe botanical teas, tinctures, vitamins, minerals and other formulations. My personal style is one of deep listening, acceptance, education, flexibility, compromise, faith in the body’s ability to heal, humor, and authenticity. I have a strong science background and use this to study and apply the most current evidence-based research in the clinical setting. I also employ a significant amount of energetic and mind-body medicine including breath work, homeopathy, cranial sacral therapy, flower essences, etc. I guess you could say I’m a little bit country and a little bit rock n’ roll. My receptionist says she frequently hears raucous laughter coming from my office in many visits. I love my work and I think this helps my patients feel comfortable with me. You get to spend a lot of time with your patients! Tell us more about this. I’m providing holistic health care. To truly do this, I must have a global and intimate understanding of the entire person sitting in front of me. I can’t do this in a 15 minute appointment. New patient visits are typically 90 minutes where I review the extensive intake form, ask clarifying questions, weave in a good amount of patient education and provide initial treatments and a plan of action. I leave time for questions, concerns, and any treatment ideas that the patient would like considered. Follow-ups are generally 45 minutes, depending on the nature and complexity of the visit. I don’t want my patients to feel rushed, unheard or unseen. I am also able to do this because I don’t employ staff to bill insurance directly. An out-of-network provider for most insurance companies, I am happy to provide a superbill with visit and diagnosis codes so that patients may be reimbursed by their insurance companies. This allows me to provide my style of thorough, thoughtful care without insurance driving the amount of time I spend with my patients, the treatments I employ, or the frequency or duration of follow-ups. Economically, I find that this works out best for my patients in the long run. My patients tell me they would prefer to pay for my medical expertise than pay for extra time that I or my staff would spend dancing with insurance companies. And my insured patients share that the care they receive is worth the slight delay in reimbursement from insurance. It’s a win-win. Patient education sounds very important to you. It sure is. Patient education is critical in my opinion and is a part of every visit. I often joke that I’m working hard to put myself out of business. I want my patients to get better. I want to educate and empower them to take the lead role in their own health and well-being. I want them to understand that our relationship is a true partnership, each with a responsibility to our own roles. I want my patients to walk away with a deep understanding of their conditions and their treatments so they fully understand WHY the treatments are important and how to get the most benefit from their efforts. When my patients understand these things, they are engaged in their healthcare, they follow through with recommended treatments and they get better, faster. In the first visit, I educate about the role of naturopathic doctors, naturopathic philosophy, my personal approach and initial treatments. In every visit thereafter, whether doing a routine check-in, drawing blood, doing an exam or reviewing labs, I weave in education with each symptom, condition, issue, question that comes up. With the daily bombardment of the Sick Care philosophy, which entails simply covering up symptoms with drugs or removing sub-optimal organs without addressing the underlying cause of dis-ease, I find it important to refresh or remind my patients that with naturopathic medicine I don’t expect them to just FEEL better, I expect them to actually BE better. You also do all your own labs and gynecological exams, two services for which physicians tend to send patients elsewhere. Yes, I do my own blood draws, urinalysis, some skin sampling, and annual gynecologic exams/pap smears in-office. For my patients, it is simpler, their healthcare is more centralized, with one less place to go, and the results are received quickly. The prices are often significantly reduced due to the special pricing I have with laboratories based on my high volume of uninsured patients. For me, it’s one more way to check-in with my patients, an opportunity to learn more about them, the scheduling and receiving of results are seamless, and it increases my ability to order specialty labs. When my patients have one less place to go, one less office to be in contact with, I find that there is better follow-through, timely follow-up, leading again to the ultimate goal of getting healthier, faster. Of course, there are many situations where I order labs/tests to a hospital, a draw center, or to another physician’s office if location, insurance requirements or office hours are a challenge. I want the patient to do what is best for them to minimize stress and financial impact as those are both important factors in their overall health. What kind of experience do patients typically have when they come to see you? That’s an interesting question. Because I provide individualized medicine, not the one-size-fits-all variety, I’d say that each patient probably has a very different experience. What happens in a visit depends on what is going on for the patient, where they are in the wellness/healing process, what their priorities are and their willingness to participate in the process. I strive to provide a consistent, safe, integrous container for each patient to feel seen, heard and understood. Sometimes we laugh. Sometimes there are tears. Sometimes anger. Sometimes they show me pictures of their cats on their iPhone. It’s my job to hold space for whatever comes up while still keeping our goals in mind and the visit on track. Hopefully, my patients walk away feeling truly understood, held and considered. I want them to come out of the visit understanding where they are in their healing journey and what they are doing to move forward. I want them to know they are so much more than their symptoms or their condition. I hope they leave encouraged, motivated, inspired to achieve the optimal wellness that they deserve and proud of the steps they’ve taken up to that point. Those are certainly my intentions. Your patients really do get better. Tell us about this aspect of your practice. They do! It is so inspiring to witness! Even though my practice is busy and thriving, I get so excited when I have space to accept new patients because my current patients get better! When I say that my patients get better, I don’t mean that we are simply keeping one step ahead of their symptoms, or that my patients never catch a common cold. I mean that we are identifying and treating the underlying causes, have made significant strides in often lifelong imbalances and are definitely moving towards sustainable wellness. When we begin our work together, I meet with patients more frequently, so that I can get to know them better, so we can determine what is working and what is not, and so we can get some traction with what are often lifelong or ongoing issues. As patients move in a healing direction, visits become less frequent. Ideally, I will see my patients four times per year, quarterly, so that we can address any healthcare issues that arrive with each of the seasons. When patients are invested, motivated and incorporate a good portion of the natural effective treatments that we agree upon, the majority get better quite quickly. That must be so rewarding to you. You liken your job to being a detective or solving a puzzle. What do you mean by that? It is rewarding! Deeply listening to a patient’s medical and life history, marrying observations from physical exam and lab results determining where imbalance may exist in their body, and matching these with appropriate treatment is much like being a detective. I aim to ease my patients’ symptoms to provide comfort while continually striving to detect and treat the underlying cause of their presenting condition. This is especially fascinating in the holistic healthcare model where the mental, emotional and spiritual aspects of a person are also considered. I love it! I would never be satisfied with simply chasing symptoms and covering them up with drugs, herbs, or other modalities. I’m interested in true healing. I understand that you also stock an in-house apothecary. Help readers understand this service you provide. Again, my goal is for my patients to improve their health. I find that providing a selection of the highest quality products is the most convenient option for my patients. Understanding that costs can be prohibitive at times, I offer these products at a reduced mark-up so that they can be more accessible to everyone. After addressing foundational health habits like routine, sleep, exercise, hydration, and nutrition, I sometimes find that my patients require additional support. I formulate many of my own botanical tinctures and teas and craft my own flower essence blends for patients as needed. Since I provide acute, constitutional and prophylactic homeopathic support, I also have an extensive homeopathic inventory. Lastly I offer a wide variety of nutritional supplements including probiotics, essential fatty acids, vitamins, minerals, and combination formulas specific to certain conditions. As you can imagine, being the former Quality Manager at Herb Pharm, a local herbal extract manufacturer, I’m a stickler for quality. I do my very best to offer products of the highest quality from the most reputable vendors. I spend a lot of time researching vendors, verifying their quality and avoiding ingredients that aren’t conducive to optimal well-being. While the FDA has some stringent quality standards for nutritional supplements, the enforcement isn’t very strong. There are so many fabulous supplement companies out there and there are also a lot of sub-par products available made with cheap, ineffective ingredients or products that don’t contain the amounts of key constituents claimed. As always, my patients can certainly purchase their supplements elsewhere, but I am not always able to verify the quality of these products. As I mentioned previously, I want the patient to do what is best for them to minimize stress and financial impact as those are both important factors in their overall health. There are several ways to get apothecary items from our office. They can be purchased after a medical appointment or via walk-in during regular business hours. If a product you are looking for is out of stock or must be special-ordered, this can be done through our will-call system. It is always a great idea to call ahead with the products that you need for a faster easier check out, especially if you require a custom formula to be crafted for you. Orders and payment can easily be taken over the phone for easy walk-in and pick up. 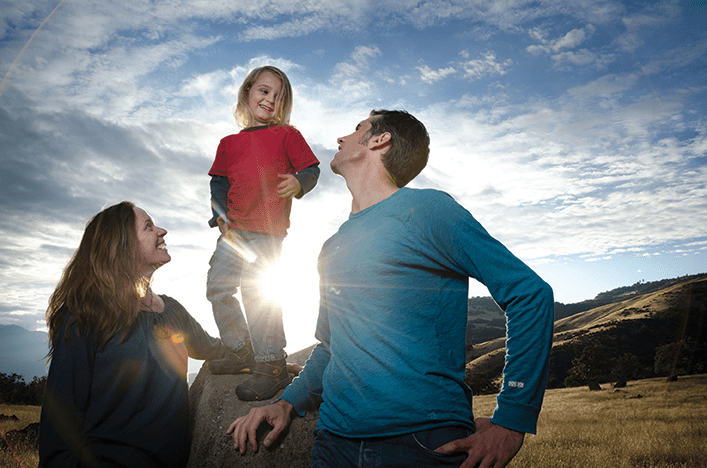 You helped to create a unique support system for prospective parents in the Rogue Valley. Tell us about the Natural Fertility Network. Oh, wow, do I love this part of my practice! I have a huge passion for preventative medicine. What is more preventative than treating a person’s health before they are even conceived? We all know that a mother’s health during pregnancy has a clear impact on her developing baby. Viewing the most current research, there is no question that the health of BOTH patients PRIOR to conception is also a significant indicator of the success of conception, a healthy pregnancy, healthy development of the baby, uncomplicated delivery, successful breastfeeding and robust health for the child all the way through their adult lives! Treating both parents before they conceive is the ULTIMATE preventative medicine. Brigid, you’ve been practicing in Ashland since 2010 but had lived here in the Valley for a long time prior to that. True. In another lifetime, far far way, I was an engineer working in New Orleans, Cape Cod, Colorado, and Missouri. Eventually taking a year off to relax, play music, and teach yoga, across the US, throughout Europe and lastly on Hawaii, I found myself house-sitting at a straw bale house up on the Green Springs in 2002. Not inspired to return to industry, I quickly found employment working at RCC in the labs sciences at both the Grants Pass and Medford locations. 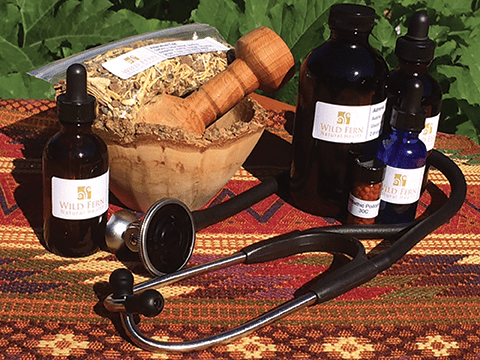 Within a few months, I found my ideal scenario at the time: applying my chemical engineering and manufacturing backgrounds to the manufacture of liquid herbal extracts at Herb Pharm in Williams, OR. I worked as their Quality Manager fine-tuning processes, undertaking continuous improvement efforts and ensuring FDA regulation compliance. What a great group of people I worked with there! Working in Williams, but playing in a band and participating in a women’s circle in Ashland, Jacksonville was the perfect location for me to live at that time. I was so grateful to build such a strong and full community across the whole valley. During my time at Herb Pharm, I fell in love with herbal medicine but was always more interested in its application to people rather than the actual processing of medicine. Eventually, my own health challenges led me to seek out the care of a naturopathic physician with great success. Once my health was strong enough, I applied to naturopathic medical school, blessed that Chemical Engineering is a common pre-med track. During my 5 years at the National College of Natural Medicine in Portland, I was required to do a tremendous number of hours with several types of physicians. Whenever I travelled south to visit my friends here in the valley, I was fortunate to do a preceptorship with Drs. Deborah Frances, Bonnie Nedrow, and Geoff Houghton, who I am so proud to call my colleagues today. I was still in love with the Rogue Valley and set my intention to return as soon as a graduated. And I did just that. 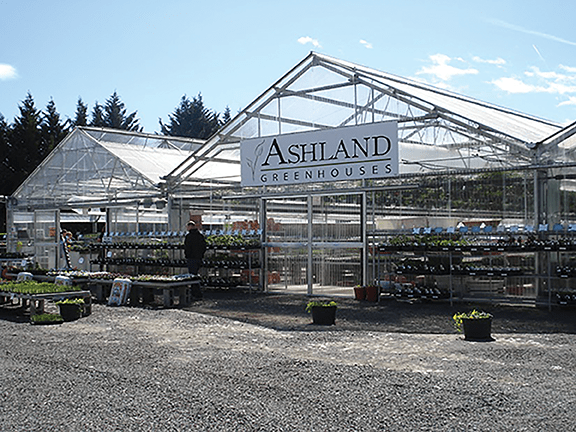 Immediately upon graduation and passing my board exams, my husband, toddler and I packed up and moved back to Ashland where I ran my own practice alongside 15 other practitioners within Hidden Springs Wellness Center. One year ago, I relocated to the railroad district and run my practice on “A” Street within Ashland Holistic Health alongside acupuncturist Jenn Collins, and integrative physician, Mona Tara, MD. I love the location, simplicity and support staff of the new clinic. Brigid what are you up to when you are not practicing medicine? Mostly, I’m being Mama to a fabulous, brilliant, tender and handsome 6 year old boy, Oisín! I’m so grateful that owning my own business has allowed me the flexibility to spend time with my son who will be starting kindergarten in the fall. 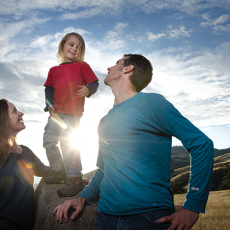 My son, my husband Eliot and I spend as much time outside as possible – walking, eating, reading, playing, hiking, running, biking, playing Frisbee, camping, laying in the hammock, swimming…. A project that we are very excited about: we are creating our dream urban farmstead on our ¼ acre lot here in town. We’ve just established a huge vegetable garden and berry patch this year. Next up: espaliered fruit trees, bees, and chickens. Naturally, the drought situation is heavy on our minds. We’re in the planning process for taking advantage of the city’s incentive program to pull up the remainder of our lawn space and replace it with drought tolerant plants. My husband has worked in the energy efficiency field for the past decade and is quite inspired to get started with solar energy at our home soon. Sooo….. that keeps us quite busy. I’m also very excited to be at a point in my career and parenting where there is more space for me to play my fiddle and mandolin! We have quite a little family band in the works and my son is looking forward to fiddle lessons in the fall. Wow! Physician, apothecary manager, business owner, fertility networker, mama, small farmer, musician… That’s a lot to juggle. How do you make it all work? Well, it’s definitely a balancing act, requiring laser-focus on my priorities. Despite all the moving parts and pieces of my business, it is incredibly important, first and foremost, that my patients feel cared for- that my staff and I are as clear and consistent as possible, that we keep our word, have excellent follow-through and not only meet, but anticipate our patients’ needs. We’re trying to deliver the kind of healthcare that we would like ourselves and that our patients deserve. This takes a lot of organization and a constant effort to simplify and streamline our processes in the office setting. This efficiency allows me to accomplish a lot with minimal stress. Personally, it means a lot of self-care. I can’t keep all these balls in the air without a good support network and solid base of self-care. I am blessed with tremendous support from our fabulous and competent office staff, incredible childcare providers, our full community of friends and especially my patient and flexible husband. The self-care piece requires walking my talk, of course – having a solid routine, getting plenty of sleep and exercise, eating delicious nutritious food, staying hydrated, and fitting in things that I enjoy into my day. There’s a lot of caretaking in my life, in both my work and home life and that isn’t sustainable if I’m giving from an empty place. It’s an incredible balancing act but offers me the opportunity at every twist and turn to take good care of myself and re-evaluate my priorities. Any recent testimonials to share? “There are moments in your life when you know you got it right. You step into something and it just clicks, and you sigh, congratulate yourself on finding the right path this once, and then move forward. That’s how it has been for me working with Dr. Crowe. THIS is how medicine should be practiced. That, loud and clear, is what my inner wisdom tells me every time I walk into this office. Smiles, humor, connection, caring questions, time to discuss what needs to be discussed and an approach to healing based on the intelligence of our own bodies, on our own proactive lifestyle choices and help from the well-studied hand of the doctor. I believe in her knowledge and council, I truly believe in her approach to medicine, and I simply feel better just for walking into this office full of good energy. Plus, I get a $5 discount if I ride my bike!” – E.M.
“It is such a pleasure to have Dr. Brigid as my physician. I feel secure in knowing that Dr. Brigid focuses on my health and well-being; pinpointing the core cause, not just treating a symptom. In three short months, I have literally bounced back. 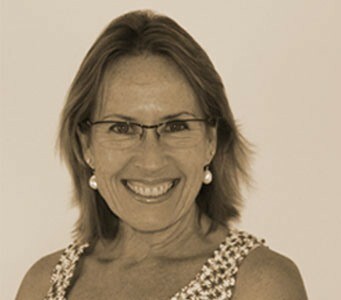 I highly recommend working with Dr. Brigid and discovering what her expertise has to offer you.” – C. F.
“Dr. Brigid is the first practitioner I have encountered in my long journey back to health that validates me and takes my health issues seriously. Dr. Brigid’s approach is refreshing and gives me hope that I will be well again. She is intuitive and compassionate, and I believe, wise beyond her years.” – Judith C.